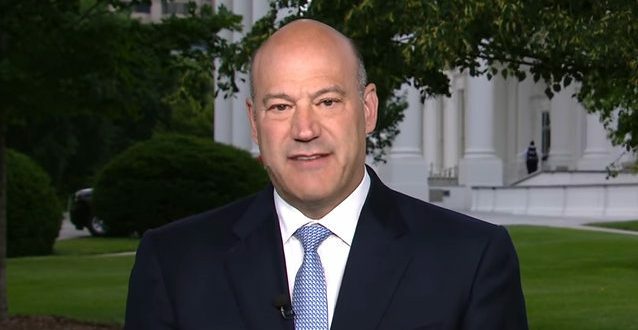 Gary Cohn Blasts Trump Over Nazi Response - Joe.My.God. A prominent Jewish member of President Trump’s administration said that the White House “can and must do better” in consistently condemning hate groups. The sharp critique from Mr. Trump’s top economic adviser, Gary D. Cohn, came nearly two weeks after deadly violence in Charlottesville, Va., in response to a rally led by white nationalist groups. Mr. Cohn, who is Jewish, seriously considered resigning and even drafted a letter of resignation, according to two people familiar with the draft. In his first public remarks on the national dialogue about the violence, Mr. Cohn said in an interview on Thursday with the Financial Times, that as a “patriotic American” he did not want to leave his job as the director of the national economic council. “But I also feel compelled to voice my distress over the events of the last two weeks,” Mr. Cohn said. 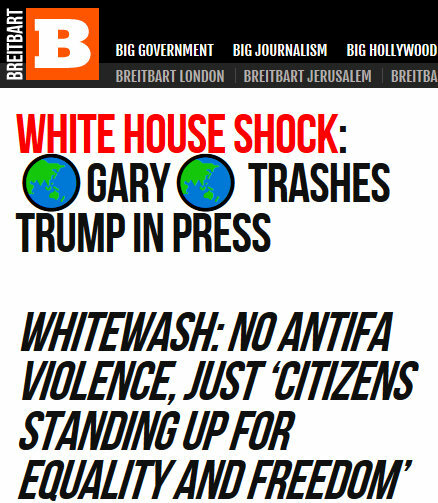 Breitbart has been calling for the head of “Globalist Gary” ever since Steve Bannon returned and their reaction this morning is as you’d expect.